Exonerated man on Texas request for faster death penalty appeals: "I would have been executed"
Defense lawyers, legal groups and former federal judges also point to cases of people taken off death row as they oppose the state's push for faster federal death penalty appeals. 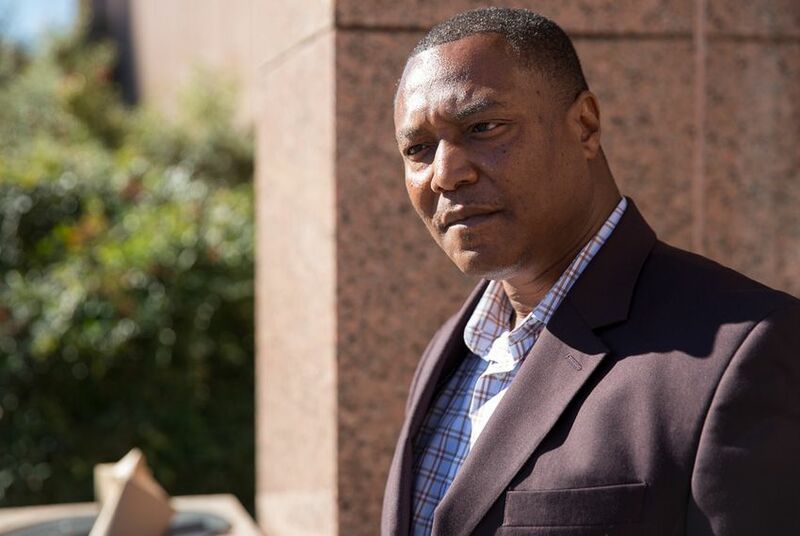 Anthony Graves spent 12 years on death row before a conservative federal court tossed out his wrongful capital murder conviction. Texas courts had previously rejected all of his appeals. It’s a point he made arguing against a pending request by the state to speed up the federal appeals process in death penalty cases. He’s not alone: Several lawyers, former judges and legal groups have asked the federal government to deny the request by bringing up the cases of people, like Graves, who were taken off death row long after their sentences were handed down. As first reported by the Houston Chronicle, Texas is currently awaiting a decision from U.S. Attorney General Jeff Sessions on whether its state appellate system is competent enough to limit death row appeals in federal court. If approved, the time frame for inmate attorneys to file petitions in federal court after state appeals would be cut in half, the courts would have deadlines on when to rule on the cases and the scope of claims that could be considered would be further restricted. The request was originally made in 2013 under Republican Gov. Greg Abbott when he was the state’s attorney general, but it was tabled by the Obama administration. Then in November, the Sessions-led Department of Justice notified Texas it would begin reviewing the petition for faster appeals and asked for updated information. Texas Attorney General Ken Paxton’s office complied. “Opting-in would serve several purposes for Texans, including sparing crime victims years of unnecessary, stressful delays, ensuring that our state court judgments are respected by federal judges as cases progress, and reducing the excessive costs of lengthy federal court proceedings,” said AG spokeswoman Kayleigh Lovvorn in a statement earlier this week. Currently, the average inmate on Texas’ death row has been there for more than 15 years. Federal law says that the nation’s top prosecutor can allow a state to opt in for these greater restrictions in federal appeals if it appoints competent representation for poor capital defendants in post-conviction appeals at the state level. So far, no state has been certified, though Arizona’s petition is also currently being reviewed, according to the Department of Justice. In February, a capital defense group and several death row inmates filed a federal lawsuit challenging the lawfulness of the certification process. Texas said in a December letter to the department that it does have a competent state appellate system in place, but public comments from different groups involved in the capital punishment process argued otherwise. Graves and others have pointed to his case as an example of how the state often gets it wrong, arguing that the safeguard of the federal reviews can be lifesaving. “Despite the fact that Mr. Graves was represented by attorneys deemed competent under Texas law at every stage of the proceeding, it took twelve years of sustained litigation for his legitimate constitutional claims — and his innocence — to be discovered, presented, and acknowledged, and for relief to be granted,” wrote Bryce Benjet, an attorney for the Innocence Project, in a statement asking the government to deny Texas’ petition. A former U.S. district judge from Texas' eastern district, Leonard Davis, also asked for the government to deny Texas’ request in a public comment. Davis, who was appointed by President George W. Bush, said death-sentenced prisoners in Texas often miss out on full and fair consideration of their constitutional challenges because of inadequate legal representation in state appeals. He wrote of Christopher Wayne Shuffield, a former death row inmate whose lawyer in state appeals failed to investigate a challenge to his future dangerousness. His federal appellate lawyer was able to bring up the claim, and Shuffield’s sentence was changed after Davis ruled on the case, he said. Davis said he’s concerned that if Texas is approved for the stricter federal guidelines, the case would have gone the other way. The high-profile case of Duane Buck was also mentioned in a statement filed by the NAACP Legal Defense and Educational Fund. Buck, a black man who had an expert witness testify at his trial that his race made him more likely to be a future danger, was re-sentenced to life in prison last year in Harris County after the U.S. Supreme Court ruled that Buck had incompetent counsel for allowing the testimony. Buck’s appeals had lost in state courts. Meanwhile, Graves has been a free man for more than seven years now. He was eventually exonerated of the murders that landed him on death row, but he said Friday the newly revived petition is a slap in the face, and, since the state has asked for its approval to be applied retroactively to 1995, affects many death row inmates currently in appeals.